A new version of MySword for Android v.10.0 has been released. MySword 10.0's major feature are People relationship/ancestry tree/diagram and other improvements and bugfixes. To receive a copy of the Premium or Deluxe Complete Edition of MySword, please help us support this project by donating. Click for more information about Premium Features and Deluxe Features. 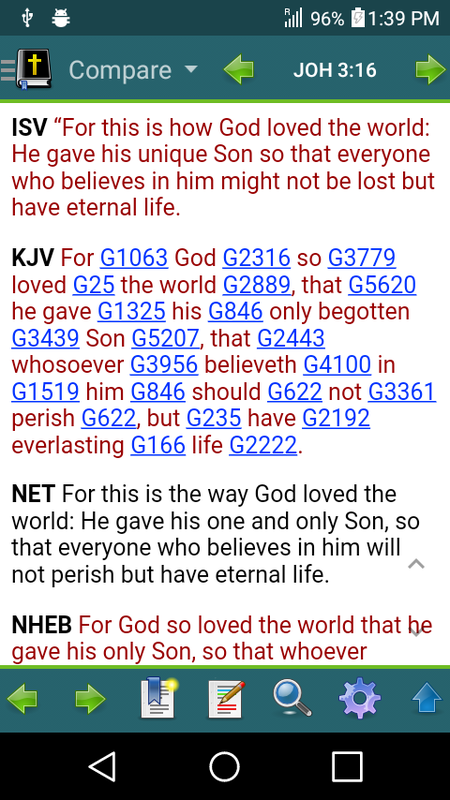 With MySword, you can study the Bible, compare different translations, lookup Strong's Hebrew and Greek Lexicon, read popular commentaries, Bible dictionaries, books, maps, and even write your own insights and study notes directly on your Android device offline (the Internet connection is only needed when downloading modules). Bible study has never been this fun and easy. Come and try the free version of the software. Install directly from Google Play! Or install directly from website download (upgradable to Premium or Deluxe). We would like to thank you for your support of this project. With your generous donation, we can be able to distribute the The Word of God around the world. 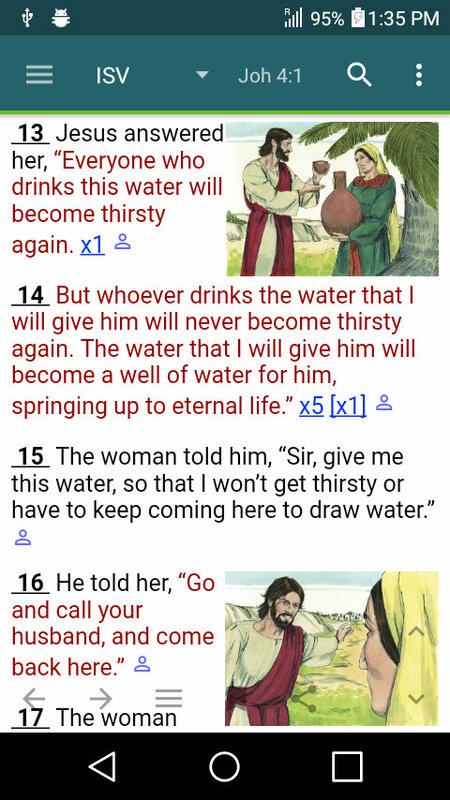 Your gift is a seed sown into the development, maintenance, support and upgrade of MySword Bible that is sown back to the lives of MySword users. Many people around the world has been touched and blessed by this invaluable software. It gives us encouragement and strength to continue with this project for you were able to excel in the grace of giving. 2 Corinthians 8:7 NIV "Just as you excel in everything — in faith, in speech, in knowledge, in complete earnestness and in your love for us — see that you also excel in this grace of giving." MySword 3.1 and higher have support for downloadable UI language modules. Check the language download page for list of languages currently available. If you are interested to have MySword User Interface (Menu, Messages, Preferences, Bible Book names, etc) in your native language and you are very good in English as well, Please Contact Us.